Some great (free) public events for anyone likely to be in Manchester next week. 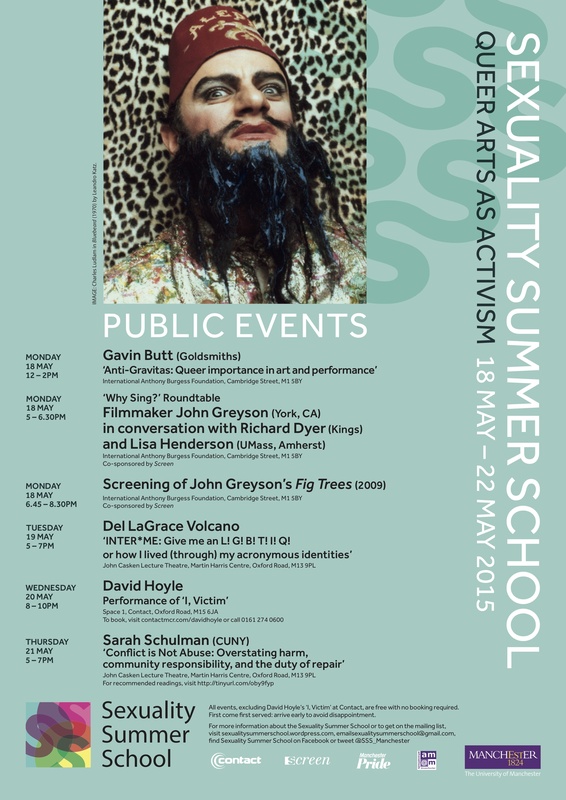 The Sexuality Summer School 2015 will bring to Manchester a combination of scholars, artists, performers, filmmakers and writers. This entry was posted on Thursday, May 14th, 2015 at 6:25 pm	and posted in Writing. You can follow any responses to this entry through the RSS 2.0 feed.